At Sol Windows we have an excellent range of conservatories to choose from whether big or small we can advise you on all styles and sizes available to enhance and suit your home. A Sun Lounge is simple practical and surprisingly affordable, offering excellent value for money. The classic design of a Victorian conservatory will enhance virtually any style of property, the steeply pitched roof will give this style of conservatory the feeling of space, allowing maximum light into your conservatory regardless of the season. Edwardian conservatories traditional design gives maximum floor space with the added attraction of such a sophisticated roof design. 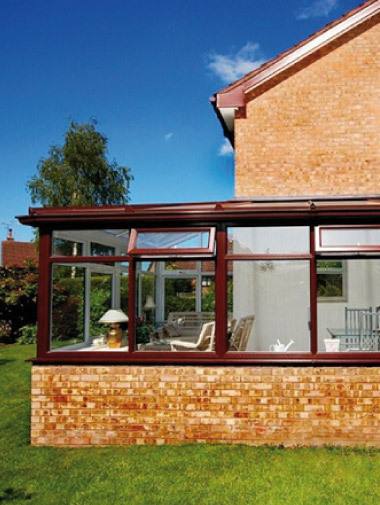 Whatever your choice at Sol Windows we will be happy to advise you on the positioning of power points, heating, lighting and types of flooring and furniture for your conservatory.